The bonds between siblings are the longest connections in our lives, and sibling relationships are among the most enduring ones we'll ever have. But for many this bond has not always been smooth -- many of us are stuck with childhood memories of conflict that have been festering for years. 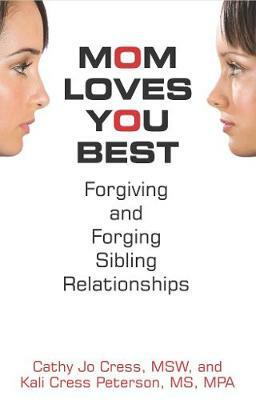 In Mom Loves You Best, two recognized experts on sibling relationships demonstrate how to move beyond the childhood strife, giving readers the tools to make forgiveness achievable through their prescriptive ten-step process. Readers not only forgive their siblings but also themselves as they let these ten straightforward steps guide them toward exoneration and improved feelings. A book that enables anyone to successfully repair family ties, Mom Loves You Best puts readers on the path to reconciliation and healthy adult relationships. Publisher: New Horizon Press Publishers Inc.,U.S.